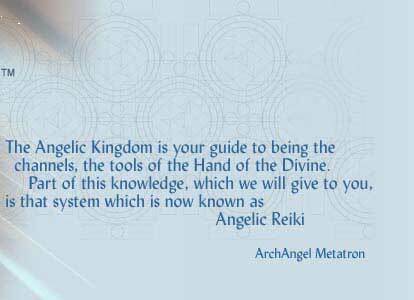 I am so thankful to Angelic Reiki. After I took my first workshop 1 and 2 with one of your teachers, was the first time that I experience Love. My heart was placed in my solar plexus. There was no judgments at all. I was in that bliss stage for almost a week. (oh boy, that feels good). What happened for me in that workshop was extraordinary. I came to terms with myself and accepted my own darkness and my own light. Before I would always try to get rid of my darkness. I discovered that I am a divine being living in a human body. The density of the body itself is made of matter. The amount of light that I hold in my soul will create the shadow, and from that shadow I will create my reality. I also learnt from the angels that day, that if I fight the dark I will give energy to it, but if I love the dark it will lose his power. (it is very trick, love does not mean giving in to it, just remembering that within the dark also there is light and those souls that chose to hold the dark do so so we can know the light ). I still, sometimes get very confused about this, and just today I ask for clarification, and I know it will come, actually just it came right now, and again back to everything is right the way it is. I feel like an incredible gift has been passed on to me. 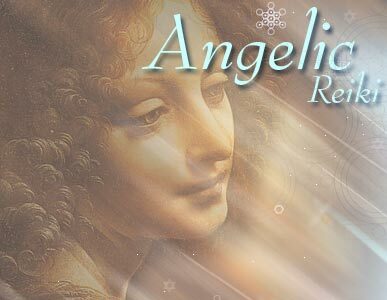 You have so wonderfully taught me how to connect and merge with the angelic realm, and much more. Words can't adequately describe my gratitude to you and Kevin, but also to the Angels, Archangels and all that is. This experience has changed my life and how I, in every moment, perceive reality. It has brought me closer to the present and gives me a deeper awareness in everything that I see. I do not know yet, how things will unfold in the future, but I am open to what the Universe has in store for me. I will be guided by the Archangels and my Higher Self. I am looking forward to see you again in the Valley of the Kings... I feel very much drawn to the Merkabah workshop and feel a deep connection to this sacred place. The workshop exceeded all expectations. I have not attended a workshop that was as informative and interesting as the Angelic Reiki Masters Workshop. Not knowing what to expect, I came to the workshop with an open mind and no preconceived thoughts. To borrow an objective from one of the members of the group: "it was Divine". The positive vibrations brought new levels of consciousness to me, and in turn brought about a clear understanding of myself, the earth, the solar system, the Galaxy and the universe. The experience and vibration will remain as part of my Being, throughout all my incarnations. This workshop was a huge blessing and gift. It was one of the most profound experiences of my lifetime thus far. All of the information was very new to me and I felt it was well communicated. My overall experience was extremely positive. I feel I discovered my "whole" entire self. Prior to coming I felt out of balance and disconnected from my soul. I feel complete harmony within. I'm changing my life completely as a result of this workshop. I discovered several of the Life Lessons I need to learn and practice. The information I received is priceless and I applaud you for creating the system to share with humanity. This is by far the most valuable week we have ever experienced. Our life going forwards will be a far different path thanks to your knowledge and ability to help us understand it. The amount of information received was amazing I don't think I could have absorbed any more on a daily basis. I was not very clear on what to expect when we registered for the course. It far exceeds my expectations!! My father is close to dying and Jerry's Dad and Grandmother both passed away during the last 90 days. This class was amazingly helpful to us in understanding where they are and what we can do to move forwards. The amazing energy you built in our space was great!! Thank you so much for making this available to us!! I encourage anyone who wants to move forwards on their spiritual path to attend your class!! I am extremely grateful!! "I arrived in Luxor , sad, tired and badly burned out! I leave now joyous and know my true purpose. I know happiness is not a destination, but a deliberately chosen state of being in the now moment. Even though I had the capacity to love, I had not really understood how important it is to accept love. I had closed that side of myself. I felt and experienced love immeasurable from the angelic realm, the Masters, and from you both. I feel more connected to everything in a more multidimensional way. This is really hard to describe in order to do it justice but I feel that I am not confined to my physical body and at times I am part of everything to the point where I can almost feel, touch, smell, see as that other being, place, animal, place etc........ its a strange feeling being me and also being whatever else I put my attention to and also feeling that I am wrapped around everything...... but I guess this is the connection I am feeling..... but I can feel this on many levels and in many layers of reality.....past present and future...... and in that moment it is impossible to put into words what I am experiencing as it is so vast and it is such a brief feeling but it is very deep and very profound and yet feels very simple also. Because as well as being vast and all encompassing I also know at the same time it is also very small and within the tiniest atom of my body.......... that is as well as me being a part of everything.....everything is also within me. Before I knew this as a concept and I sort of understood........ now I know it to be true as I can feel it. This is what AR has done for me. I also feel the pace of everything has increased and I am gaining new insights and yes I suppose consolidation is the right word as I am able to apply the knowledge and wisdom that I have gained both more in my everyday life and also to aid my own creative processes in my spiritual practices. I think now is the time to apply all of our spiritual wisdom and tools into our lives in order to move this world towards ascension, and it is important that we do this or should I say BE this in our every day lives because otherwise it is like saying that all of the spiritual work is somehow separate to our 'normal' everyday life, when in fact it should be integral as it should be a part of who we are as people. But more importantly these spiritual practices are only tools on the path to ascension and they are to be used wisely and not assume that they will guarantee you wisdom...... we all have to put the work in and also at the same time remember that life experiences themselves can give you the same insights if we can recognise them and grow. I personally feel that the wonderful thing about being the gift of using spiritual tools is that they are just that......... tools or bridging techniques to empower us to evolve. Little torches to light our way on what can be a dimly lit path. "Now I know who I am and I will never forget. This will help me to be the Godself that I can be. I understand all that I am now and where I am going. There is nothing I cannot do now!" "This seminar has been the answer to my prayers. The information is essential to those who are accepting their Soul's Path." "I have moved into a completely different space on my journey, and I am so grateful for the experience. Kevin & Christine emanate a wonderful angelic vibration, pure and high, like the ringing tone I now have in my ears. I understand so much more about the process of Ascension and the part we all play. Love, Understanding and a Deep Peace are my experiences". "The overall experience was just 'mind-blowing'. Never have I felt as strong before, the feelings of serenity, inner peace, tranquility, relaxation and safeness, on my own or within a group. A truly wonderful and appreciated workshop which I will definitely be returning to." Kevin has evolved to be a truly high light being. 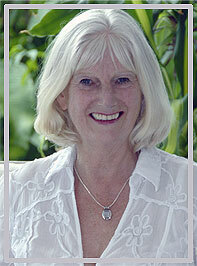 I would highly recommend the workshop to all light workers as a massive leap of Ascension." "The course was fabulous! The first evening, during and after the cleansing, was uncomfortable for me. I was releasing a lot, to which I am grateful. The next morning I felt different, like I needed to be calm, and alone to integrate what was happening to me. The next two days were really good. After the two attunements I noticed a definite difference when I was healing. I called in my new Angelic Reiki being, and I was fully aware of her presence. It was like a huge, "hello, I'm here!" I also was given her name. She is called Diana. The healing sessions were great, and my client felt the benefits. I worked as instructed by you through the various approaches, and again could sense the differences. I call upon Diana now during any healing. All that's left for me to say is when can I do the next Angelic Reiki course?? All my Love + Light"